As accent’s longest client relationship, Jefferson Methodist Hospital has relied on us to brand countless patient programs, from obgyn services to pain center. 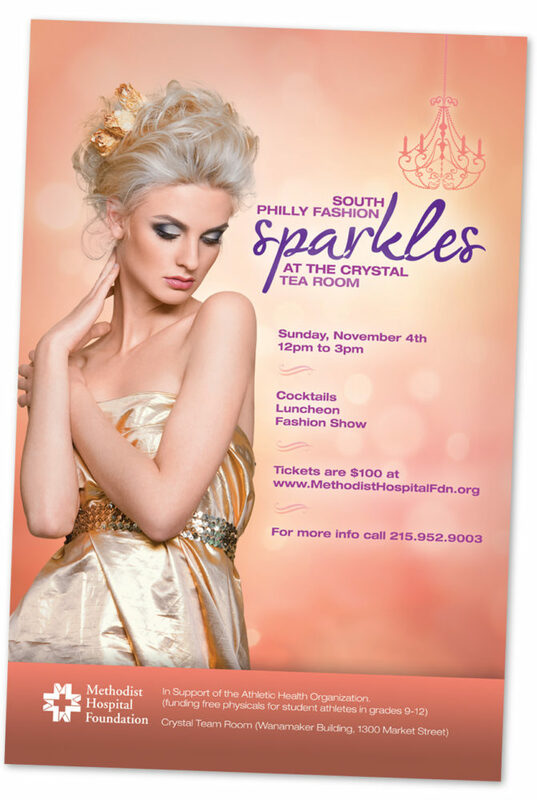 But nothing compared when the Methodist Hospital Foundation, the fundraising arm of Jefferson Methodist Hospital, tapped us to brand what would become one of the largest fundraising fashion shows in Philadelphia. 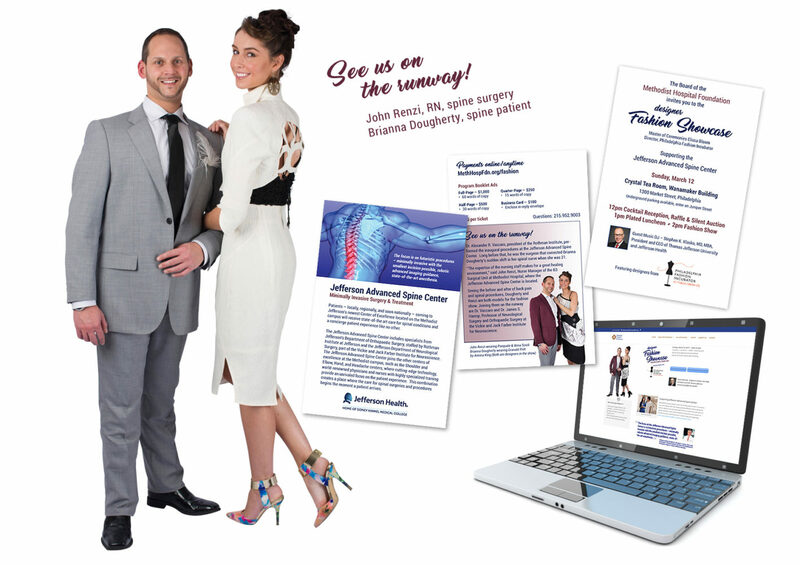 When the Foundation board selected the new Jefferson Advanced Spine Center as the beneficiary of the Fashion Show accent went looking for a unique angle. We uncovered a real spine patient and nurse caregiver to be the face of the campaign. By photographing our models in the actual fashions they would be walking the runway in it brought the tie in to the next level. 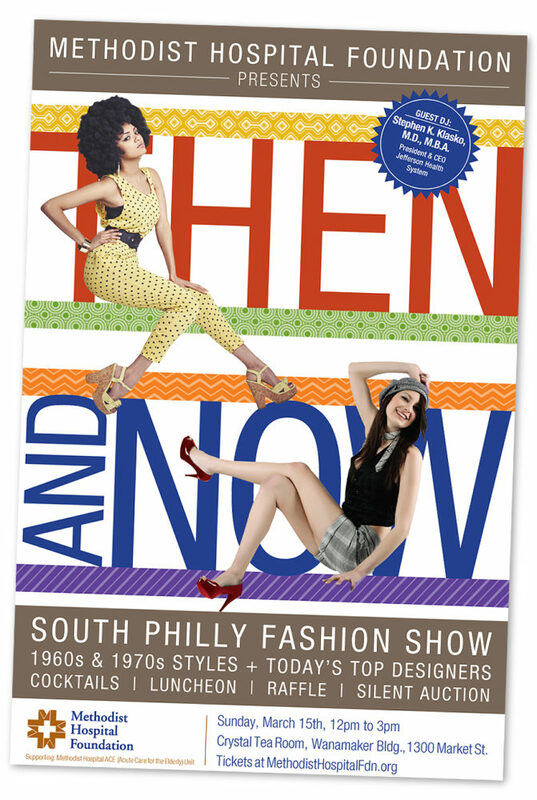 With full page ads in our media partner the South Philly Review and extensive education on the Foundation website, we personalized the Fashion Show like never before. Employee participation was up 35% and the buzz on campus was electric. 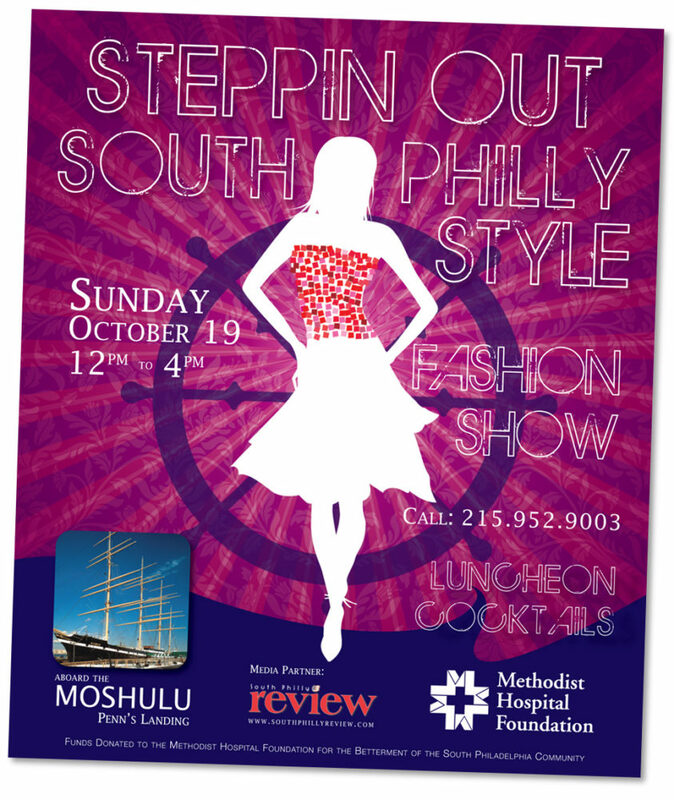 Dr. Alexander R. Vaccaro, Rothman Institute President who operated on Brianna our patient model would also walk the runway. Our copywriting excelled by combining personal stories from patient, caregiver and physician all joining together in the cause. It was no surprise that the event marked a new high level of fundraising support. 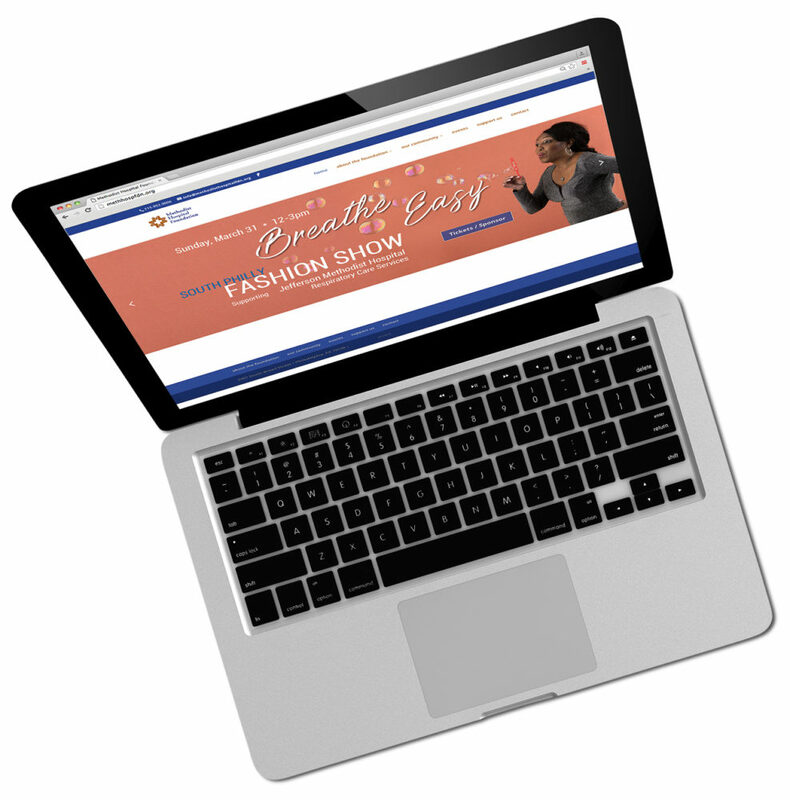 accent designed, wrote and built the Methodist Hospital Foundation website and is responsible for maintaining all social media and SEO. 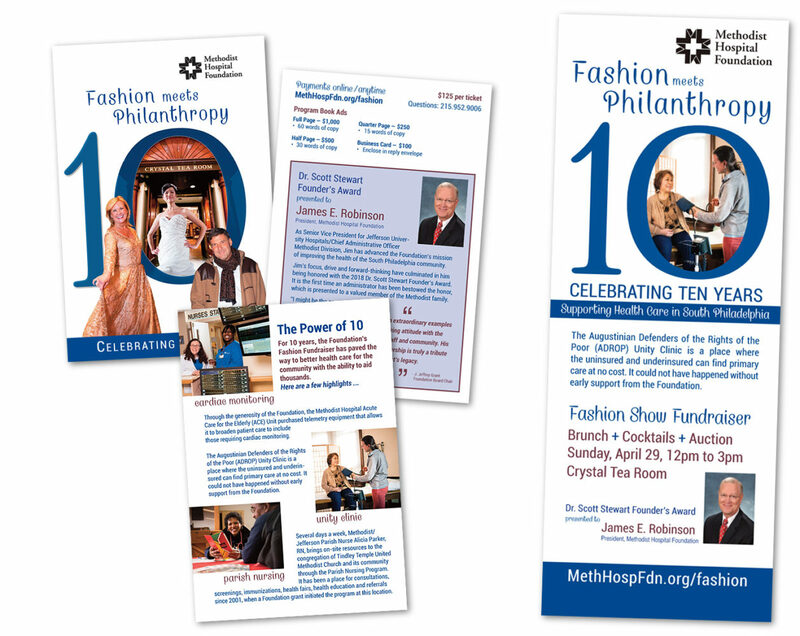 To tell the Methodist Hospital story we created an interactive history page. (Launch History) Our timeline of paralleling interesting historic facts with the hospital history was designed to create a one of a kind user experience, using voice over and music. 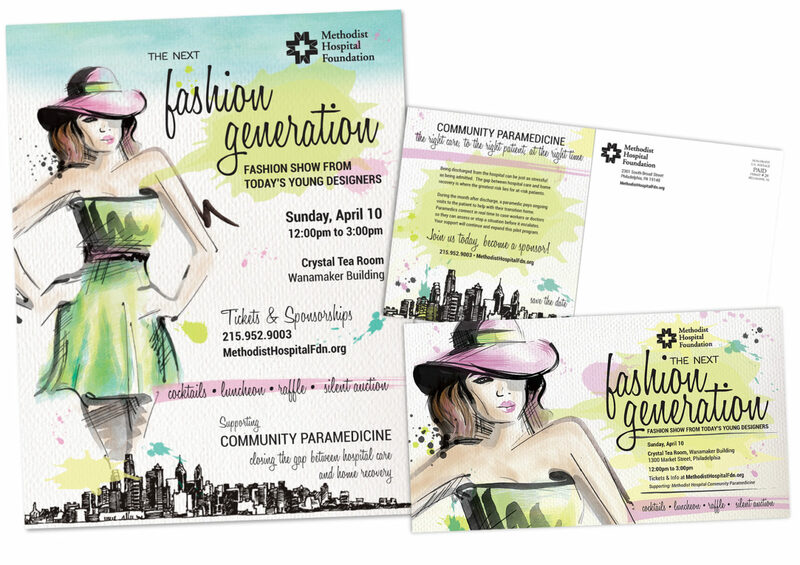 accent’s original concepts, tag-line, copywriting, visuals and social media campaign have become the cornerstone of making the event one of a kind, setting attendance records. We brought together marketing partners from the world of fashion, media and wine – creating synergies that have kept things energized 11years and counting. Trying to keep the public, donors and corporations engaged year after year is a challenge. That is why accent laser focuses on original themes, unique creative and high style photography to burst thru the clutter of every other charity event. We don’t have the advantage of celebrity speakers, or famous athletes walking the runway. The Foundation insists on Jefferson staff as models. It is our job to make ordinary into extraordinary with high style photography and photoshop magic. 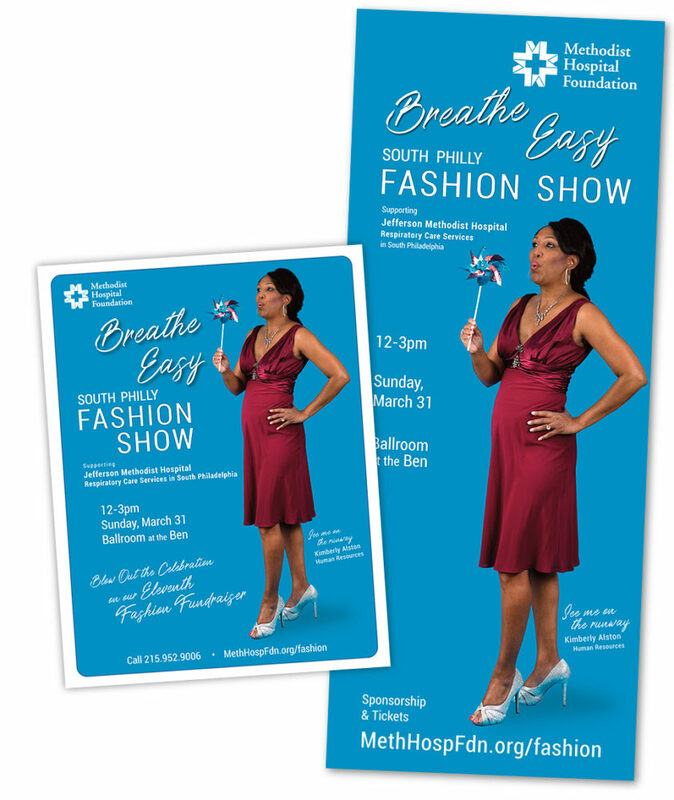 By using word play and images that start with an oversized Save the Date postcard thru 7 foot pop up posters at various locations at all campuses, the brand look has to excite people to fill the venue. And we sell out every year.